I always learning. Just when I think I have my hospitality role down God throws me a little curve ball, like trying to serve something great to 50 people at a birthday party, or trying to care for my family who have different values surrounding food. 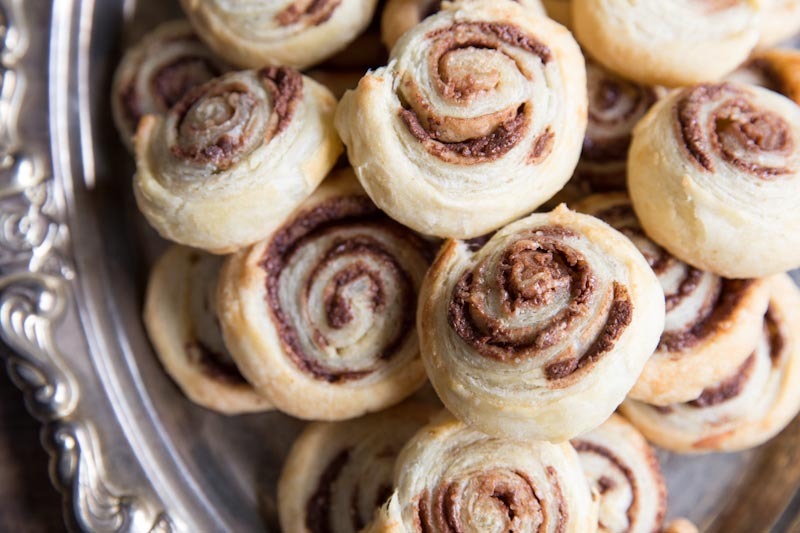 So, I’m learning to be more simple, like making these 2 ingredient Nocciolata Pinwheels, that are easy to make for a crowd, and I’m learning ways to love others besides serving them food. For Everett’s big birthday bash we started out with grandiose plans then as time came nearer, and more friends rsvp’d, our plans got much more simple. We would much rather have all of our loved ones join in the celebration, than to wine and dine just a few friends (though both are fun!) So, we scaled down and came up with a few ideas that would feed lots of people affordably. And with high quality ingredients like Nocciolata, an Italian European chocolate hazelnut spread, simple is best. Nocciolata is made with dark chocolate from the Antillean Islands, Italian hazelnuts, brown sugar, skim milk and Bourbon vanilla extract. 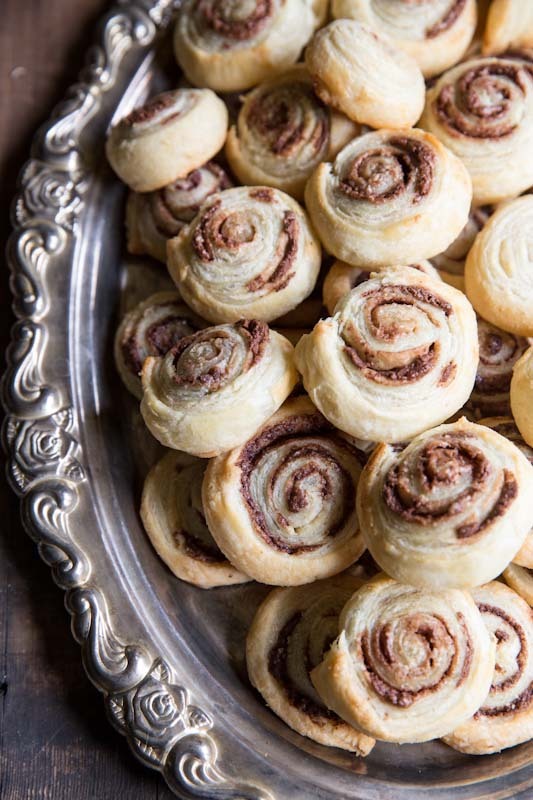 This spread over buttery puff pastry, rolled, up and baked, is simply perfect. Some things are just better when they are prepared simply, letting the ingredients speak for themselves. And this rich chocolate hazelnut spread is exactly that. Along with learning to simplify, I’m learning to care for and love others outside of the realm of food. This is hard for me. It’s easy for me to make someone dinner, greet guests with fresh made cookies, or drop breakfast off on someone’s doorstep. But what if that is not how they receive love? What if they don’t even prefer homemade meals or fresh baked cookies (gasp… ). I’m slowly, and almost begrudgingly, learning that this has to be okay with me and I have to figure out other ways to care for them. I’m realizing that part of my love of cooking for others comes with a condition that they’ll enjoy it or feel cared for in it. It’s an expectation that I didn’t realize I was placing on others. I want to learn to give and serve freely, without any expectation. 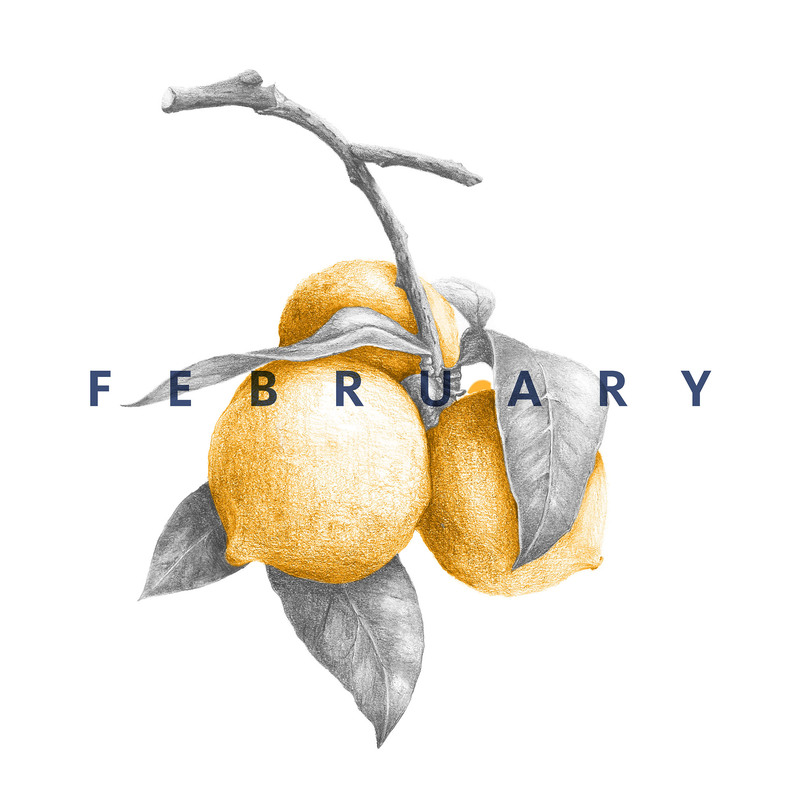 Our pastor recently spoke over our human inability to love sincerely and with a pure heart. At first it sounded harsh but after a few recent experiences I couldn’t deny it. I’m definitely in need of some help in order to love sincerely and purely, especially when its in a way that is outside of my wheel house. So, I’ll keep learning and hopefully God will teach new new ways to simplify and love without any conditions or expectations. 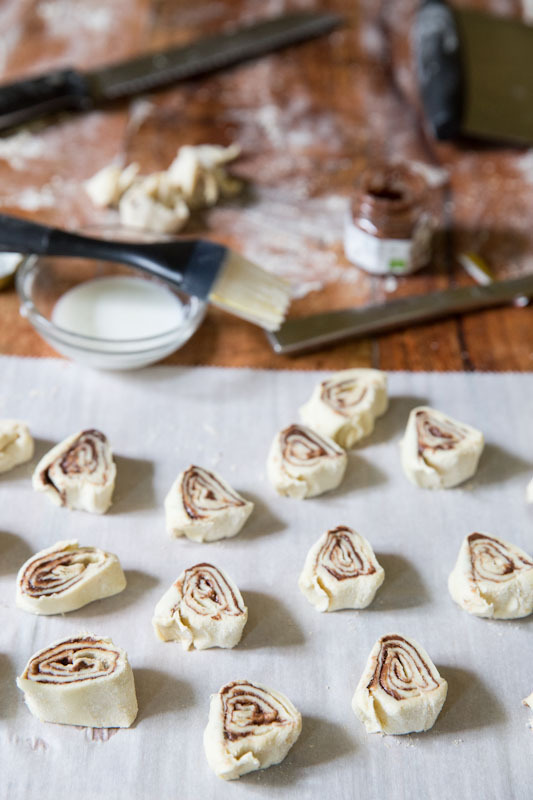 These two-ingredient Nocciolata Pinwheels make for an easy party snack. 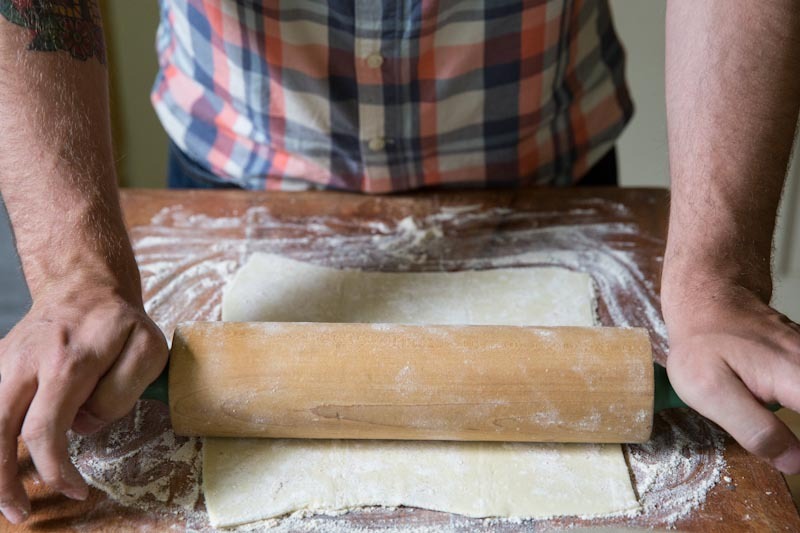 Roll out the puff pastry until its even and without creases from the folds. 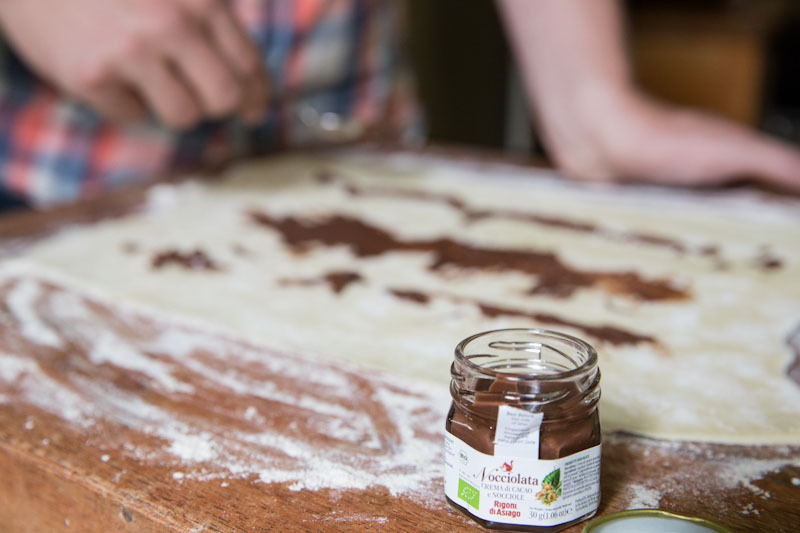 Using the back of a spoon spread out a thin layer of Nocciolata onto the pastry. It doesn't have to be perfectly even but just make sure there are no big clumps. Roll one of the long sides of the pastry towards the other then pinch the seem into the pastry to seal the long edge. Slice the pastry into 1/2 inch thick rounds. Then brush with milk and sprinkle with turbinado sugar (this step is optional). Position rack in center of oven and preheat to 400°F. Line 2 large baking sheets with parchment paper, or use non-stick cookie sheets. Arrange rounds on prepared sheets, spacing 1 inch apart. Bake 1 sheet at a time until pastries are golden brown, about 14 minutes. 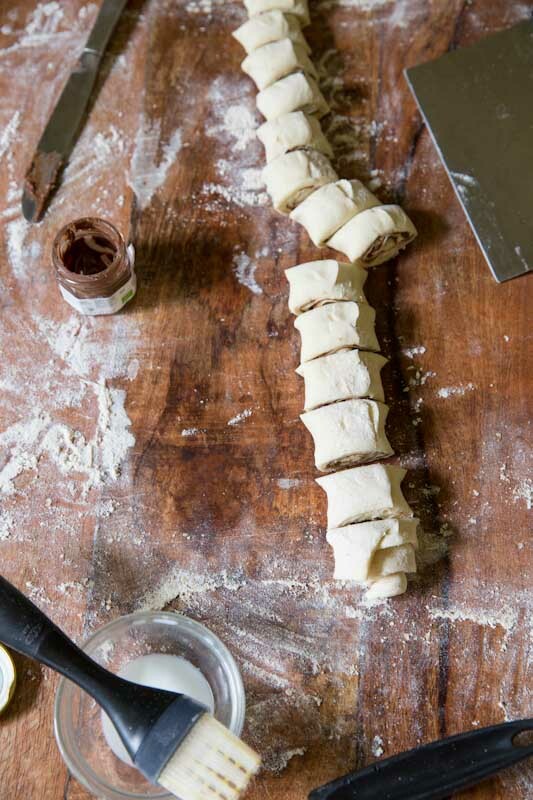 Using a spatula, transfer pastries to racks and cool slightly. So simple, so perfect! And such a great idea. Wonderful ! I never experimented sweet versions… for apetizer I prepare salted ones, one version with tapenade and the other with dried tomatoes mixed in a food processor with basil leaves. Ilaria, both of your pinwheel ideas sound tasty!! I’ll have to try them soon. I love olive tapenade and have an almond olive tapenade recipe on the blog that we make often. Made these for a dessert…except I used chocolate almond butter..great..love them…Soooo eeasy! Thanks for the recipe!!! oh that’s wonderful! Thanks for writing me back that they were a success! Great idea! 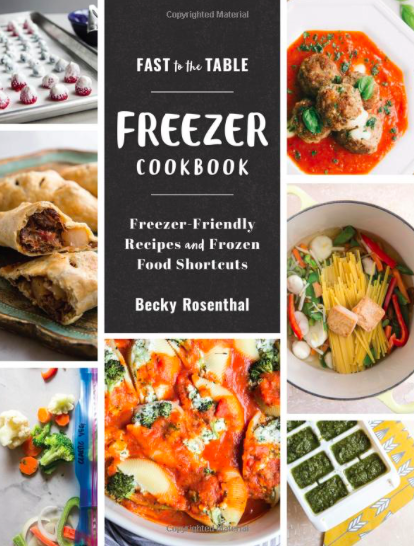 I don’t love frozen puff pastry but I don’t think most kids would mind. It just wouldn’t be as crisp.